The creeping theocracy that threatened the secular state embodied in our Constitution was one factor that led to the collapse of the PNM Government, and the near-destruction of the party. Minister after minister used their positions in Parliament as pulpits, one boldly proclaiming she was “a Christian with a bid ‘C'”. Intelligent people sensed that the nation’s highest forum was descending into an Inquisition-like abyss. Bear in mind in this land of 1.4 million people, we have scores, maybe hundreds, of differing religions, faiths, beliefs-call them what you will. Since most Chinese are atheists, it is hardly likely that Shanghai Construction would engage in a project of that size without first being guaranteed payment. They are not like architect Mendes, who said the only time he met with Pena was when she asked him to do the drawings for free. Which leads to another question: if she could not pay for the designs, how can she pay for construction? Why did Cabinet fast-track State lands for the church when other people and organisations have made similar applications, and remain waiting for a response for decades? There are too many unanswered questions hanging over that project. The new Government is obligated to investigate it, to determine if State funds were siphoned to benefit one ‘prophetess’ and her only acolyte (that we know of), who just happened to be Prime Minister. Look, the Patrick Manning I knew a decade ago was a polite, decent man. So I am not gunning for him. If anything, I have been accused of being partial towards him. But no man-or woman-is bigger than my country. I have always put my country and my people first, risking my short neck in the process. If, therefore, Manning is found culpable in any way, he must be made to face the martial music much the way I did 40 years ago. And if ‘prophetess’ Pena and ‘arranger’ Calder Hart are also steeped in sin, then they, too, must be made to pay. As good Christians, they must know that ‘the wages of sin…’ (Romans 6:23). The new Government also faces another intriguing challenge: the extradition to the US of Ishwar Galbaransingh and Steve Ferguson. Last Thursday the duo exhausted their last legal hurdle when the Privy Council rejected their appeal against being extradited. These are two well-known financiers of the UNC, pouring in huge sums into the party’s coffers for the 1995 general elections when Basdeo Panday and his party first wrested power from the PNM. I shall never forget when, in the euphoria of victory, Panday made his first speech as PM-elect. He did not thank the ‘foot soldiers’ who had worked hard to deliver 17 seats to allow him to cut a deal with the NAR’s Ray Robinson. He did not thank his elected colleagues, among them the present PM, Kamla Persad-Bissessar. He paid no gratitude to the sugar workers who first propelled him onto the national political stage. He thanked ‘Brian, Ish and Steve’. I don’t know how others reacted, but I was stunned. Here were men who belonged to only one party, the PIP-Party-in-Power. They were jéfés in the PNM, Brian Kuei Tung leaving his corporate sanctuary to join Manning’s Cabinet. 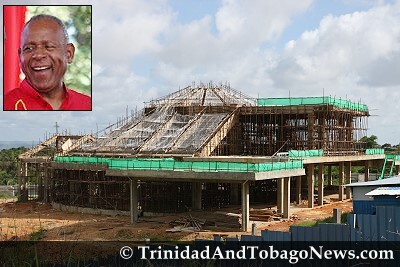 Galbaransingh, through Northern Construction, had earlier landed a plum contract to construct a bridge across the Caroni River as the PNM tried to get the Caroni Racing Complex off the ground. Only I, and a few friends and activists, stood firmly against that disaster-in-the-making. Others joined in much later. ‘Houses before horses!’ we screamed. The then PM, Dr Eric Williams, all but farted in our faces. His death put paid to the billion-dollar project, but ‘Ish’ survived. Now, the decision to extradite them lies in the hands of the PM Kamla and AG Anand Ramlogan. The nation is monitoring this one closely. It’s not that I have anything personal against the culpable duo or Brian: the latter is a perfect gentleman. But not only must justice be done; it must also be seen to be done. PM Kamla has an opportunity here to raise the bar in dispensing justice. She must grasp it with both hands. There is one thing about the Church that nobody had touched on. The mere fact the the land could be gifted to this lady who had a personal and not a professional relationship, with the Prime Monister is indeed corruption. Can you imagine if Kamla was to give a Pundit in Barrackpore three acres because he lives next to her favorite watering hole. Then she opts and pay squatters of the land so the pundit could erect a temple. This is corruption from the start even before we start to discuss Calder, Shanghai and Mendes and someone must pay. One last thing at least one person recognized that Manning was turning the country into a theocratic state. Remember his attempt to shut down the casino? I will be very sorry when those chips start to fall. As for PNM corruption nothing will come out of the Gunapo affair, they know how to hide things well.. It will take a dog such as the rotweiler to secretly reveal the way it was done. That way he will get his ultimate revenge on Manning, who called the last election to get rid of him. It did not work because the rotweiler summoned the “fat ar.. brigade” to deal with Manning. As for Panday, Mr. Shah I know you were one of his first political victims, now that he is off the political stage maybe you could write something positive about him… As for Ish and Ferguson, they did not win the elections for the UNC, so why the constant association with them. Nobody bothers to mention the fact that Ish had a PNM party card just prior to working with the UNC.